The season finale of the Dunlop MSA British Touring Car Championship always brings with it a sensational closing montage from our colleagues at ITV Sport, and in 2015 we’ve seen plenty more thrills and spills that are sure to make it into the final cut. 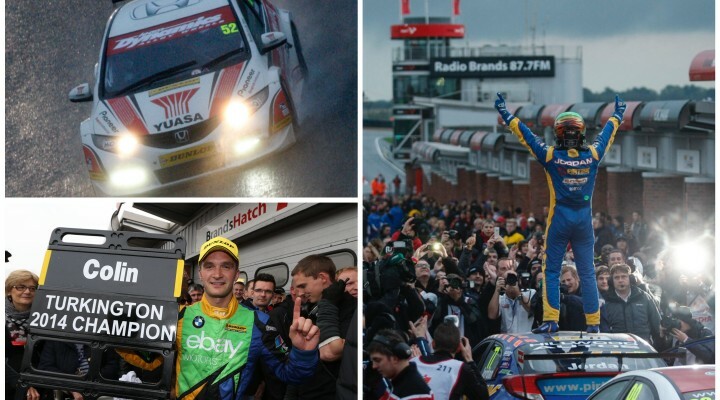 With five former champions gearing up for a grandstand finish, it’s going to be another edge of your seat shoot-out around the world famous Brands Hatch Grand Prix circuit, and in the quiet before the storm we’ve pulled together the last three season closing features to remind everyone what makes finals day so special in the BTCC. Don’t forget to tune in to ITV4 from 10:15 on Sunday to see the action unfold live, or if you’re outside the UK you can follow live timing and circuit commentary via our Live Zone!